This spring, we’ve got the definitive guide to outdoor activities for those who have been awaiting blooms, buds and warmer weather. 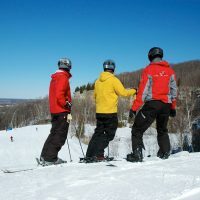 Here are six ways to get out and enjoy the departure of winter and ensure that you don’t miss the best outdoor experiences on offer in Hamilton Halton Brant. 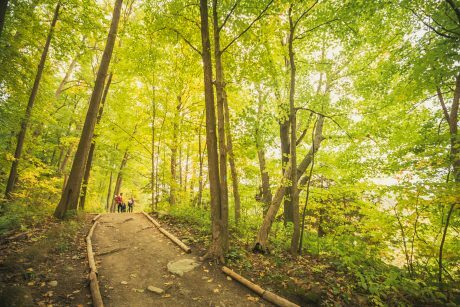 Treat your feet to a few hours of adventure this spring with a scenic walkabout in Hamilton Halton Brant. With hundreds of kilometres of hiking trails to choose from, narrowing down your choices will be the first challenge. 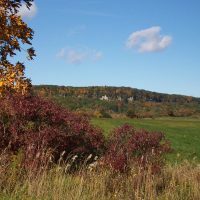 • Hike the Niagara Escarpment. The scenic section of this 750-kilometre ridge of fossil-filled rock runs all the way from Niagara to Tobermory, and offers endless inspiration for exploring. 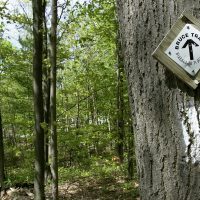 • Wander along the Bruce Trail, Canada’s oldest and longest footpath and a four-season haven for hikers. This spring, head to one of the many Hamilton and Halton conservation areas that offer access to the trail. 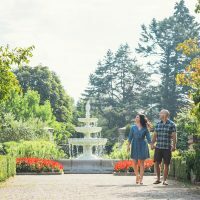 • Ramble amongst the blooms at Royal Botanical Gardens to see spring favourites like magnolias, tulips and daffodils. This time of year is also the perfect opportunity to enjoy RBG’s famed lilac and iris collections. • Take in Hamilton’s many waterfalls on a waterfall walk. Courtesy of its location along the Niagara Escarpment, a landmark ridge that runs through Southern Ontario, Hamilton and its environs are home to over 100 waterfalls. Hikers have endless options for single and multi-day hikes that put these stunners front and centre. Spring is the time to get it in gear. 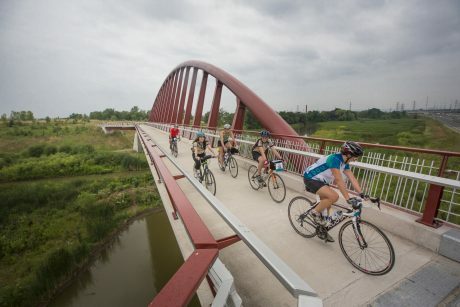 In Hamilton Halton Brant we’ve got two-wheeled trips for every kind of cyclist — whether you prefer rugged mountain bike routes, scenic cruising or endurance road cycling, you’ll be ready to roll with these recommendations. • Celebrate the coming of spring when Glen Eden/Kelso Conservation Area transforms into a southern Ontario mountain biking hub. Here you can access 22 kms of trails and some of the region’s best mountain biking. If you’re new to the sport, Kelso’s Mountain Bike School can develop your skills and guide you on epic rides starting at the beginning of June. • Hit the back roads, choosing from eight mapped routes throughout the region of Halton. These popular routes range in length from 36 to 100 kilometres, and are the perfect way to explore 380 square kilometres of lush countryside. • Cruise from the top of the Niagara Escarpment to the scenic shores of Lake Ontario along the HamBur Loop. This route winds 50 kilometres through Hamilton and Burlington, taking in some of the area’s most stunning waterfronts and scenic lookouts. Its trails are perfect for bikes with wider touring or hybrid tires. 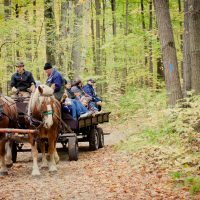 • Ride along a historic railroad track surrounded by Carolinian forest. Cycling the 14-kilometre SC Johnson Trail, which runs between Paris and Brantford, is an excellent way to take in some truly scenic Grand River vistas. Paddle away in Hamilton Halton Brant. Spring is the perfect time for water pursuits, whether you head to an inland lake or opt for one of many “Grand” experiences. As the weather gets warmer, gear up with a local outfitter and get ready for fun-filled days on the water. 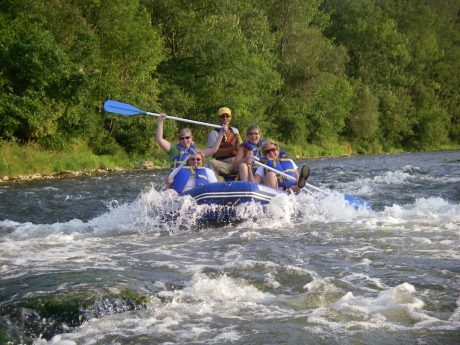 • Try some spring white water rafting on the Nith River. The 4-5 hour rafting trips start after the snow melt and usually last through April. This narrow river of pools and swifts provides a thrilling experience that is excellent for both beginners and families. 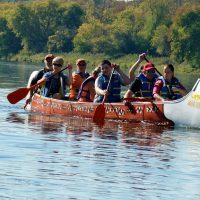 • Enjoy a sunny afternoon float in a canoe, kayak or tube down the gentle currents of the Grand River. Gear up with Grand Experiences, Grand River Rafting and Heritage River Canoe and Kayak Co.
• Bring your own canoe to Burlington’s Royal Botanical Gardens and explore the marshlands of Cootes Paradise. RBG is home to two canoe launches, Princess Point along Cootes Paradise, and Valley Inn at Grindstone Cree. Take your adventuring spirit to new heights in Hamilton Halton Brant. 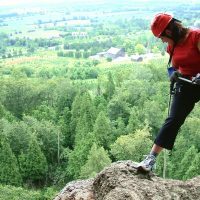 Spring is the time to get out of the gym and leave the rock climbing walls behind for rocking outdoor adventures on the Niagara Escarpment. 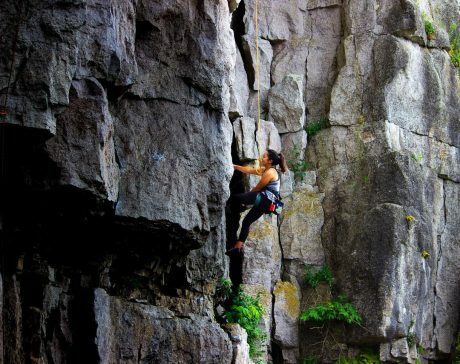 • If you’re an experienced climber, head to the bolted sport lines at Mount Nemo, where there are more than 200 routes for you to scale the Escarpment. 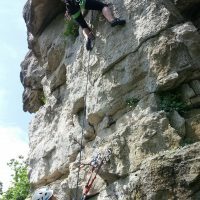 • Rappel down the limestone cliffs of the Niagara Escarpment in Milton with One Axe Pursuits’ programs for beginner and intermediate climbers. • Trust the certified instructors at Zen Climb for outdoor rock climbing courses for beginners, intermediate and advanced climbers at Rattlesnake Point, an area that boasts three designated sites and more than 235 routes where experienced rock climbers can scale challenging cliffs under a canopy of rich woods. There are endless ways to sink a line in Hamilton Halton Brant. For fantastic family fishing, head to the region’s conservation areas. Newbies will want to sign up with an outfitter for a guided trip, while avid fly fishermen will find their spot on the famed Grand River. 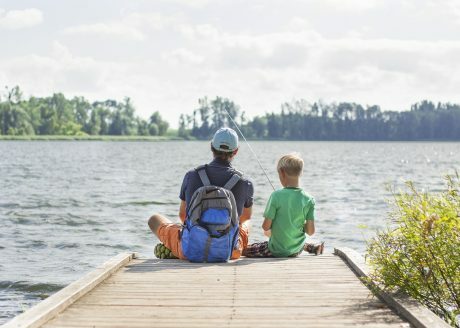 • If you’re new to fishing, try casting a line at the reservoir at Hilton Falls Conservation Area in Milton, where fishing rods and lures can be used free of charge with your park admission. • Halton’s Mountsberg Reservoir is a largemouth bass angler’s Mecca, with northern pike, black crappie, pumpkinseed and brown bullhead. • The Grand River in Brant is well known by fishers from around the world as one of North America’s most plentiful and varied fishing grounds, with over 80 species of fish caught annually. Canadian Fly Fishing magazine rates the Grand River and Whiteman’s Creek as the top 1and 2 “Do it Yourself Fly Fishing Destinations” in Ontario. • Book a Grand River fly fishing experience or introductory beginner course with Fly Water Guiding, a local outfitter in Paris. Their season starts in late April with steelhead; as spring progresses, the steelhead are replaced with rainbow and brown trout through the end of June. You’re sure to find a fairway favourite in Hamilton Halton Brant. We’ve got both famous and off-the-radar courses, scenic backdrops and killer views, and a host of highly rated tracks that guarantee an amazing day away. 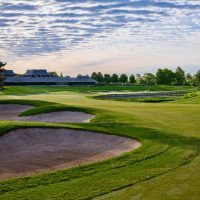 • Follow in the footsteps of golf legends like Tiger Woods at Oakville’s Glen Abbey Golf Course, which has hosted the Canadian Open dozens of times. 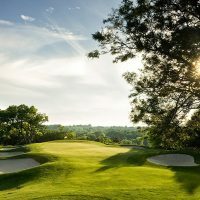 • Play the course that SCOREGolf magazine recognized as the number one municipally owned golf course in Canada. King’s Forest Golf Club in Hamilton has the Red Hill Creek running through the course, so it’s green, lush and always a beauty to play. • Escape to the Scottish Highlands for the day at Piper’s Heath in the Halton Hills. 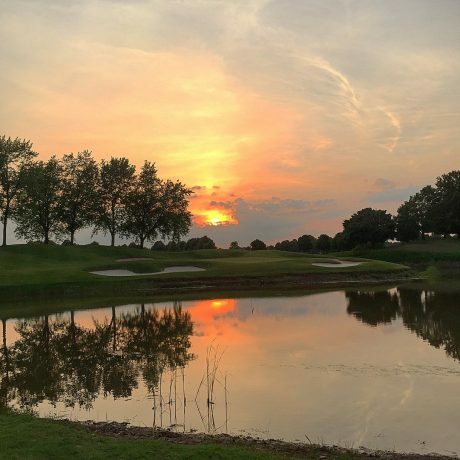 The 18-hole championship course designed by Graham Cooke is just outside of Milton. 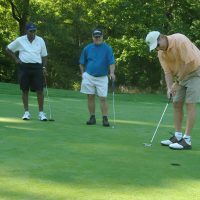 • Brantford Golf and Country Club is one of Canada’s oldest and most venerated courses. 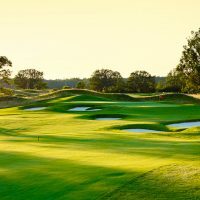 With its stunning views of the Grand River, it’s been ranked within the province’s top 20 and has been praised for the best set of par threes in Ontario. Outdoor adventures are always in season in Hamilton Halton Brant, so be sure to discover all of the possibilities. 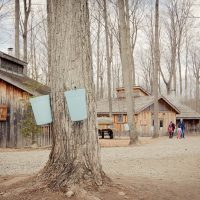 This spring there is a whole crop of seasonal events and activities that you won’t want to miss if your travels bring you to our region in the next few months. Cost: $55 per person. Pre-registration is required. Discover 7 cool claims to fame in our region. A place for back road, off road and velodrome.